Apart from the regular Service hours (Saturdays - Vespers at 6 pm, Sundays - Liturgy at 9 am), church and church office are open Monday through Friday from 9:30 am until 1:30 pm. 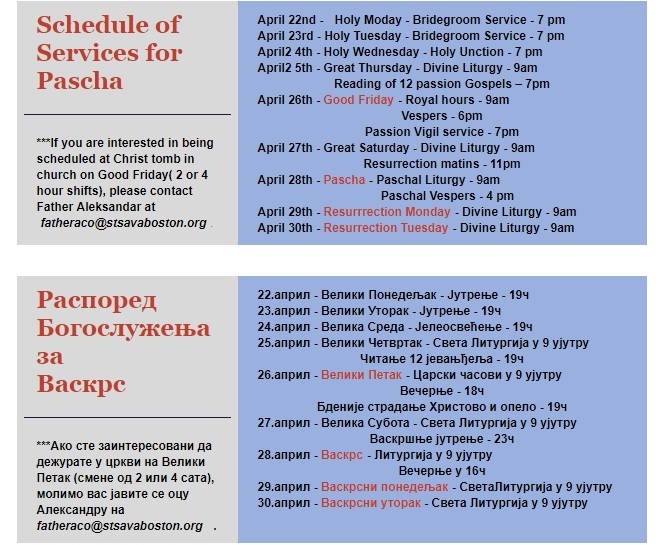 Divine Liturgy of St. John Chrysostom is served every Sunday except during Great Lent. Vespers is served every Saturday evening, unless otherwise announced in church.